We are an award winning, family owned and operated full service car wash servicing Myrtle Beach and the surrounding communities. 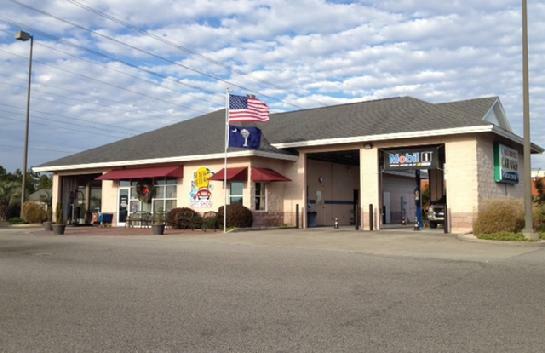 We are the only full service car wash in the Carolina Forest area. Our services include full service wash packages, auto detailing, hand washing and hand waxing. Our wash features Armor All Pro, Blue Coral and Meguiar's products. We opened in 2006 with the latest state of the art Hanna Sherman Soft Cloth System and have over 46 years experience in the automotive industry. below freezing conditions in winter, etc. Visit us on Facebook and "Like" us to receive information about special hours and car wash specials! Visa, Mastercard, Discover and Debit Cards are accepted.